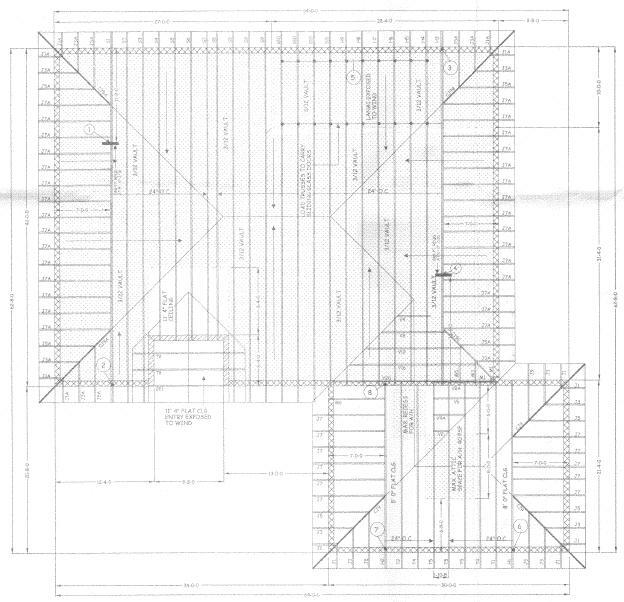 Pine Island, FL home roof framing plan from a builder. 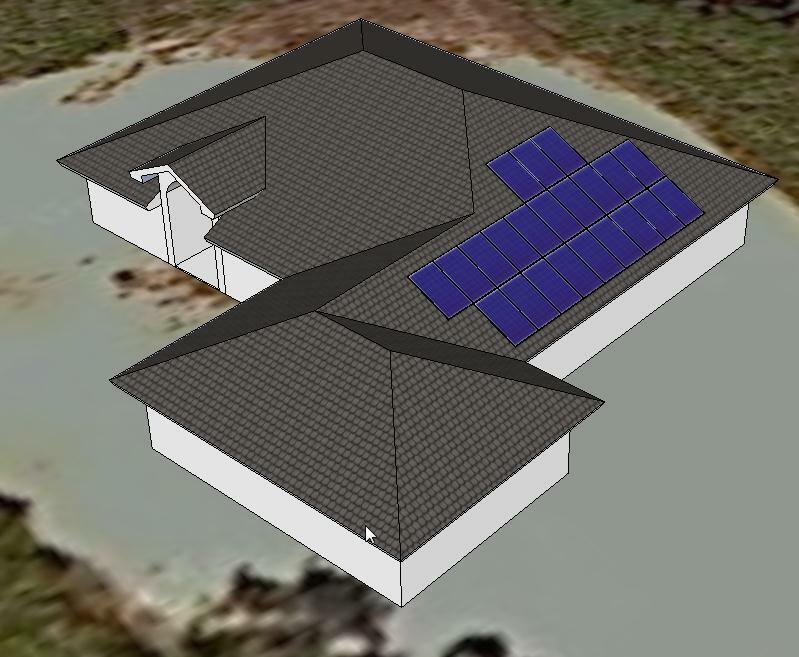 One of my favorite things to do is take a 2 dimensional roof plan for a home in the construction phase and pop it up into a 3D computer model to show solar energy products on the roof. It’s relatively easy to make 3D models using aerial and satellite imagery, but when I have access to architectural drawings, the accuracy of the roof size is nearly perfect. 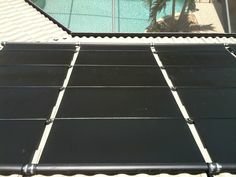 I can determine exactly how many solar panels will fit on a roof and the optimal placement. The drawings can then be sent to the homeowner or builder as part of a sales presentation. 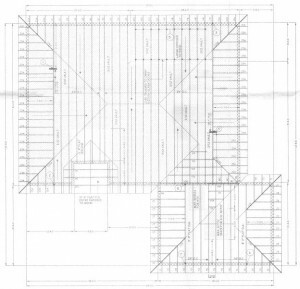 We can also provide the drawings to other trades for coordination and to homeowner associations for architectural review. Sometimes the homeowner is quite astonished that we can take an architectural drawing and made a 3D representation so quickly (and for free). They wonder why their architect/builder didn’t provide them with 3D views of the home. Most builders provide 2D architectural sketches that have only plan views and elevations as a parallel projection. 3D perspective views are a great way to visualize the finished product. I can also use geolocation to place the model on a Google Earth satellite image. The size of the 3D model is perfectly proportional to the surrounding terrain. I can look at the location of the building on the property and proximity to treelines and other potential shading like power lines and other buildings. These 3D computer models are a great tool in the arsenal. It’s fun to create them for sales presentations, and they carry through the whole contracting process with making shop drawings, permitting, and job execution. In addition to helping potential customers, the visualization also helps salespeople, plans reviewers, and installers. It helps management spot potential pitfalls before the job is approved and scheduled. 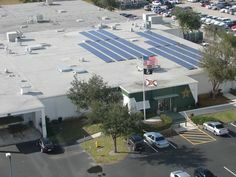 Time permitting, I do these computer models for free for residents in Fafco Solar’s service area, which includes Lee County, Collier County, and Charlotte County. We are very excited to work for you on your project. I love new construction. We can plan ahead and hide a lot of elements that would otherwise be exposed on exterior walls. 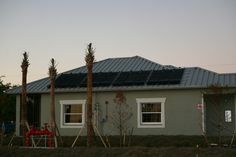 I brought 3D modeling to Fafco Solar almost two years ago using the free Google Sketchup software. We have found many, many ways to use this amazing product in nearly every phase of our business process. Believe it or not, I taught myself how to use it over a weekend, and practiced making models in my spare time. Now I can do some pretty complex stuff, and I have built quite the library of all of our products which can be inserted into models. I’m glad you like the way we do things. I think we are on the right track! I look forward to meeting you some time!